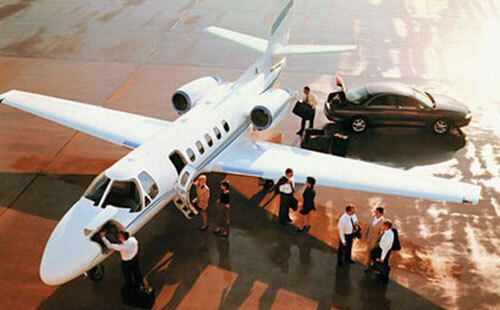 Hire a private jet to Zurich for the Street Parade Zurich Festival. The Street Parade in Zurich is unlike any party you’ve ever seen. Close to a million people come to dance in the streets at the electronic music festival that celebrates love, peace, tolerance and freedom. Booking early has many advantages. Enter a few details below to start planning your private jet flight to the Street Parade in Zurich. It’s a techno music festival with loud, very loud techno music, and all different sorts of people in the streets to enjoy it. A rave of sorts, you might meet people from a dozen different countries in an hour. The crowd is mostly young adults but there are older and younger people there, too. Despite the crowds, the Street Parade continues to be one of the safest mass events in the world, likely because of its underpinnings of peace and tolerance. The 2.5-mile route on the scenic Lake Zurich starts around 1 p.m. at Utoquai in Seefeld. 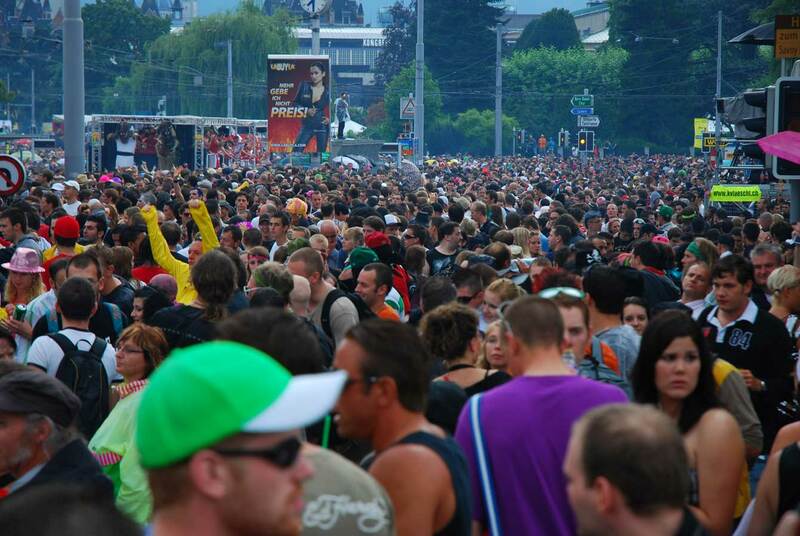 From there, the party moves around the lake until it gets to Hafendamm Enge, where the biggest crowds gather. The driving beat of the music comes from seven stages along the route and 30 brightly colored trucks called Love Mobiles. It’s tough to understand the enormity of the event unless you see it from the air like in this video from 2013. Among the during- and after-parties is the legendary “Lethargy,” which has a large lineup of its own, in the Roten Fabrik, a former factory that is now a music venue. In 1992, Marek Krynski, now a 47-year-old banker and father of four, was a college student who witnessed the growing popularity of house and techno music. It used to be only heard underground but it was coming to the mainstream. He asked the city to authorize a “demonstration in support of love, peace, freedom, generosity and tolerance.” Once he got the approval, he went to work. Street Parade was born. Drinks are very expensive. Take your own water. You will be thirsty. The music is really loud. For the true experience, you’ll want to go without earplugs but you might want to stick some in your pocket just in case. The crowds at the beginning of the parade aren’t as dense as the crowds at the end although it’s questionable how far a crowd of a million people can move anyway. The party’s not over when the parade is. There are 100 parties in and around Zurich. Check into booking after-parties in advance. Be prepared to wait a half hour in line to get into a toilet. If you go mid-afternoon – 2 p.m. – you’ll get to see the floats and everyone hyped up and having fun. By 6 p.m., people are getting tired and, by 9 p.m., it’s really winding down. Music stops around midnight. Costumes aren’t required but you’ll see a lot of people dressed in them. Get a costume if you want, the more outrageous, the better. A million people put a huge drain on cell towers. Don’t lose your friends! It might take you a long time to find them with your phone. Carry as little as you can so things like purses and camera bags don’t get hung up in the crush of people. Marc Chagall’s church windows masterpiece: In the 1970s, Marc Chagall, a famous artist from Belarus, painted a five-part stained-glass window series for the Fraumünster church in Zurich. Cabaret Voltaire: Dadaism – a movement in art and literature based on deliberate irrationality and negation of traditional artistic values, according to Merriam-Webster -- was born in 1916 at the Cabaret Voltaire on Spiegelgasse Street where exiled artists got together to question the meaning of art. Today, you’ll find examples of their works, a shop and a bar at the cabaret. Niederdorf: A walking shopping and dining promenade in Zurich’s Old Town. There are markets, shows and attractions in the day and at night.